Bagpiper - based in Marlow. Weddings; Burns Nights (including address to the Haggis if needed); Hogmanay; Funerals; St Andrews Night; TV Appearances. A highly professional and experienced solo piper covering Buckinghamshire, Berkshire, Oxfordshire, London, Hertfordshire. I completely understand that your function is important to you and your guests. My experience as a piper is extensive and therefore I can guarantee you won't be disappointed by my performance. The pipes that I play are a set of vintage Hendersons, which are highly regarded for their well rounded and mellow tone, together with a Shepherd chanter. 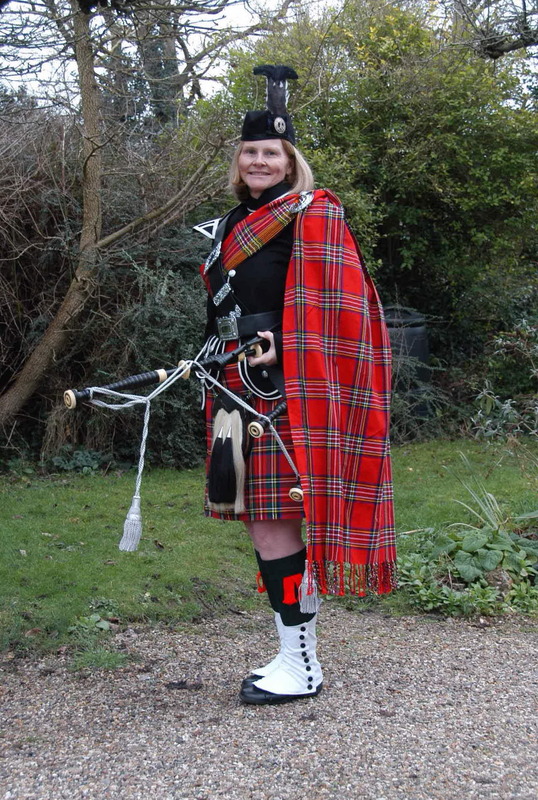 A little bit about myself: I learnt the pipes in New Zealand when studying for an engineering degree at Auckland University and have since played in pipe bands in Auckland and in the UK and for 30 years as a solo piper across Europe. My mother and grandfather both played the pipes and had their own pipe band in Chingford, plus my Aunt was in the famous Dagenham girl pipers. My sister also learnt to play the pipes at the same time as myself and went on to become an excellent drummer. So you can see that my family's pedigree in the great highland bagpipes is indeed extensive. - Very experienced and professional. Know what makes a good performance and what is required of a piper in all scenarios. - Excellent player with good general musicianship skills (I have Trinity college Clarinet grades and Theory grades, plus I also play flute and saxophone) - A recent compliment paid to me was "it's one thing to have a piper, it's another to have a good piper"
Weddings; Burns Nights (including address to the Haggis if needed); Hogmanay; Funerals; St Andrews Night; TV Appearances.